The federally-funded Neighborhood Stabilization Plan is expected to reclaim neighborhoods by transforming foreclosed homes and maintaining property values. 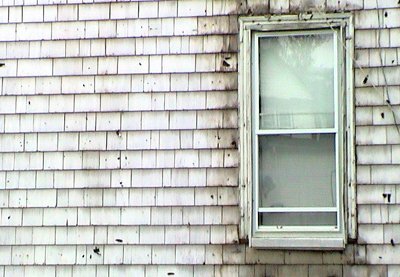 A new program with federal funding is rehabilitating foreclosed houses in Nassau County. The goal of the Neighborhood Stabilization Program is to help first-time home buyers take over otherwise abandoned homes is various “target” neighborhoods, including Elmont, Valley Stream, North Valley Stream, Freeport, Roosevelt and Uniondale. The County purchased 30 foreclosed homes as part of the first round of the program. So far, 17 homes have been sold to first-time home buyers, and another 13 are in various stages of development and are being readied for contracts. Eligibility is based on more than just first-time buyer status. According to the Federal Housing and Urban Development program guidelines, eligible buyers can make up to 120% of the area median income, and a family of four can earn up to $129,000 to qualify. Funding for the program is authorized under the American Recovery and Reinvestment Act of 2009 which provides grants to state and local governments, as well as various non-profit organizations on a competitive basis. The program stipulates that once renovated, the homes cannot be sold above the appraised value. Homebuyers may receive up to $40,000 of assistance through a subsidy that comes from the state’s Affordable Housing Corporation. For that subsidy, depending on the level of subsidy, eligible applicants must live in the home for up to 15 years and qualify for a fixed rate mortgage. Haunted Houses that Will Make You Scream! Subject: LongIsland.com - Your Name sent you Article details of "Foreclosed Houses Converted for First-Time Home Buyers in Nassau"